I did smile about your 'broken limbs' I ran into a lot of them. It is SWEET to learn of your fore fathers. Like that flower. we have one, if my wife wasn't sleep reading, she would tell me what it is. I always called it the snowball bush! Family histories are so hard sometimes. I know so little about my paternal grandfather's family. I am happy for you that you were able to gain some knowledge into that part of your family. Love your snowball tree - which we know as a guelder rose or a viburnum. Envy the splinted limbs to your family tree. My father was a German Jew, unable to talk about his past. 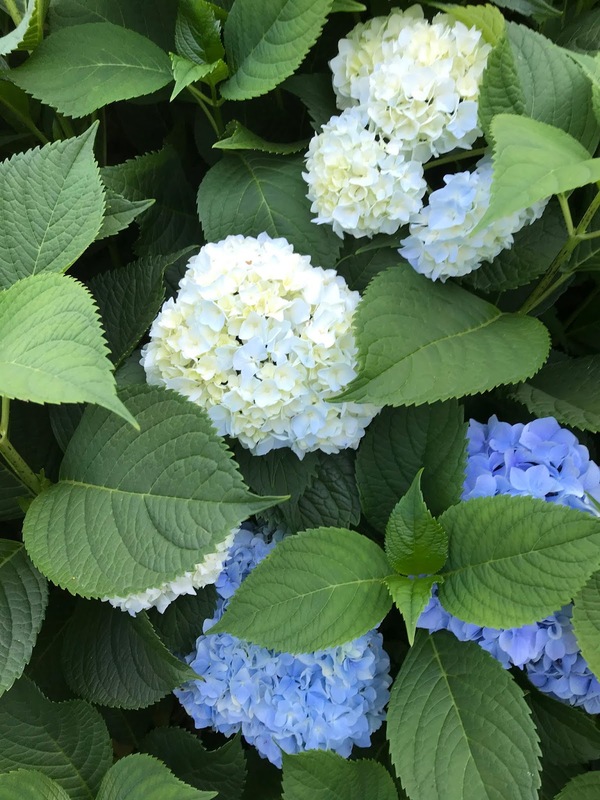 Hydrangea, I believe? Mine hasn't bloomed in years but maybe this year--- Beautiful photography. I follow a FB site about my hometown county. There is a movement to restore old cemeteries, since many descendants live in the area. Good to mend broken limbs. I think those are hydrangeas!! You are a treasure for the future generations. It's good that you are interested in the past and that you are digging up bits of information to add to the family tree. It's also fortunate that written records was kept in the bible. Good luck with this project. It is always good to find out more about our ancestors and preserving and keeping their memories alive is important. They all make up pieces of ourselves and who we are. As always you manage to capture a beautiful picture ! Hope your have a great start to this new week! If all else fails, pull out the Bible. Some of those old Bibles have so much family History in them, they could add another Chapter. Ha.